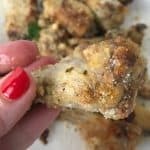 This is the BEST family chicken wing recipe ever! 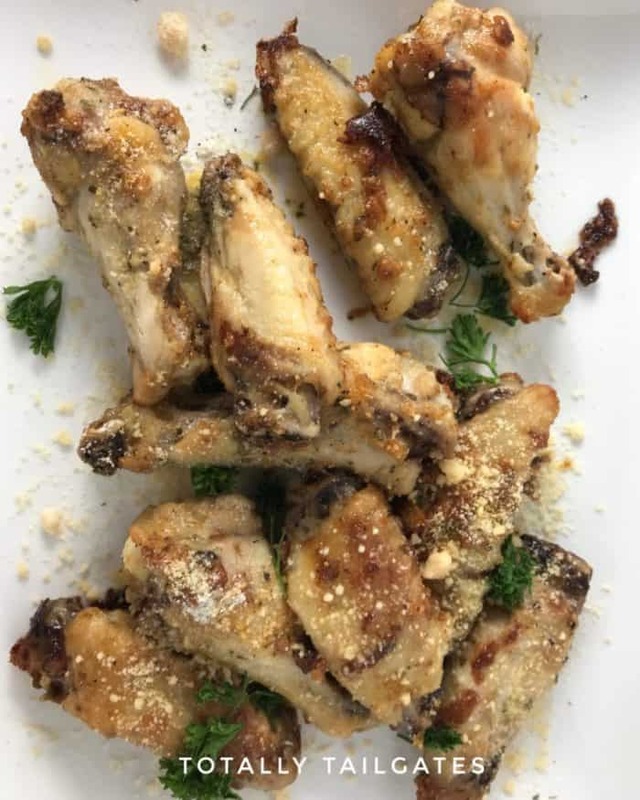 Garlicky Parmesan Chicken Wings are full of flavor but are not at all spicy. Kids love these! It’s always good to gave several varieties of chicken wings available for casual entertaining, especially if children are in the mix! 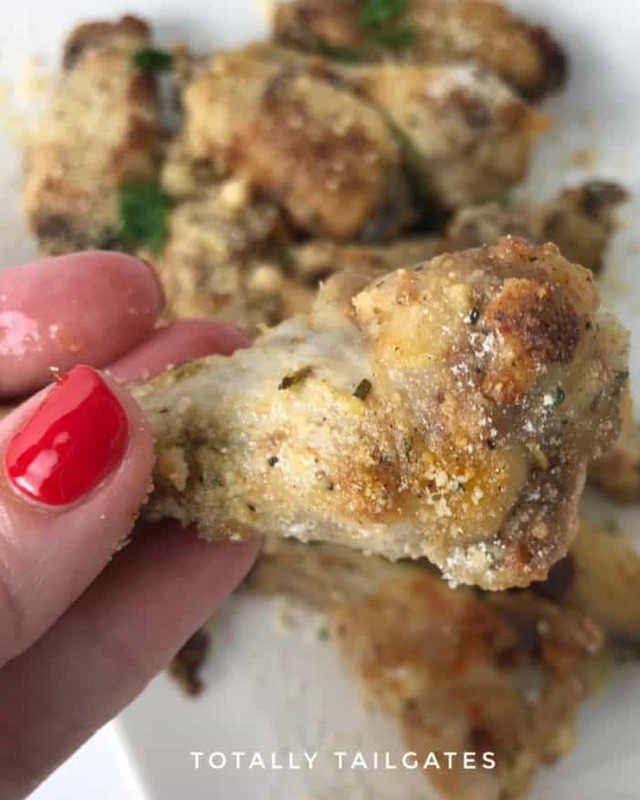 These Garlicky Parmesan Chicken wings are full of tangy flavor and are slightly addictive. And don’t worry, the garlic is not too intense! Hi this is Heather from Totally Tailgates, stopping by today with another family-friendly casual appetizer. Family movie nights, board game nights and football parties are the perfect time to make a meal out of appetizers. Platters of these wings, Hot Sausage Cheese Dip and a fresh, green salad are all you need. Of course, pairing the wings with Classic Macaroni and Cheese is always a touchdown! 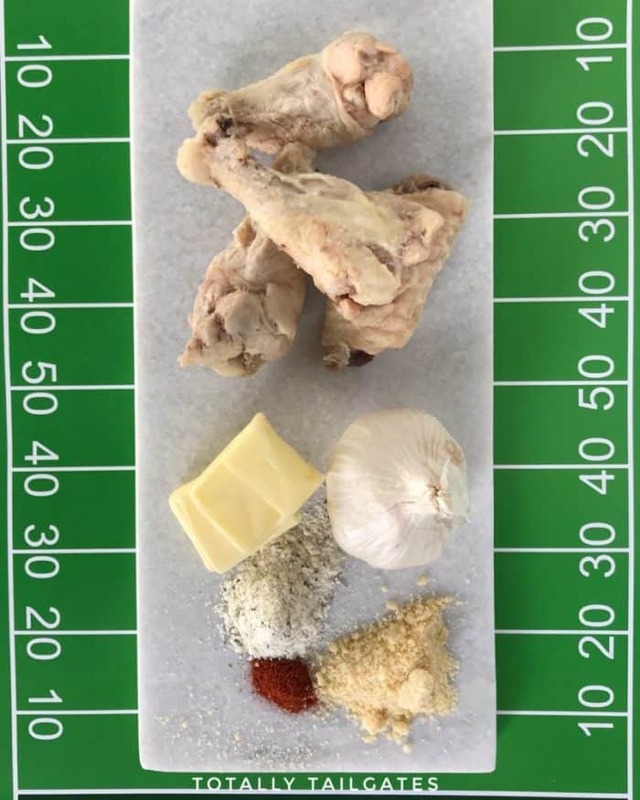 Just a few simple ingredients are needed to make exceptional chicken wings! Spices, butter, garlic and of course, chicken wings. While the wings cool slightly, melt your butter in a large saucepan and add seasonings. 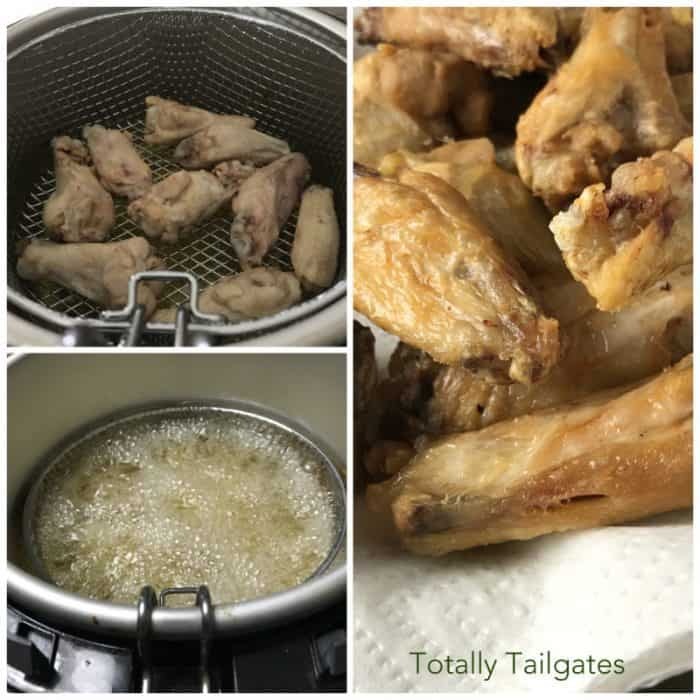 Toss cooked wings into the melted butter mixture and coat each wing entirely. Bake as directed. I like to sprinkle extra Parmesan cheese and dry ranch dip on top of the wings while they cook. It not only makes the presentation prettier, it give the wings a little pop of flavor,too! Tip: Make sure to use unsalted butter. The salt in the ranch dressing mix will be plenty for the recipe. Oh, and the Parmesan cheese that comes in that familiar green, round can works beautifully! In fact, it is my preference for this recipe. In a small saucepan, heat butter and olive oil together. Do not let the butter brown. Toss wings into saucepan and coat with sauce. Place coated wings on a sheet pan that has been prepared with non-stick spray. Sprinkle ranch mix and remaining tablespoon of Parmesan cheese on top of the chicken wings. Bake 10 minutes or until crispy. Note: I like to dust the wings with a little more dry ranch mix and Parmesan cheese when they are removed from the oven.